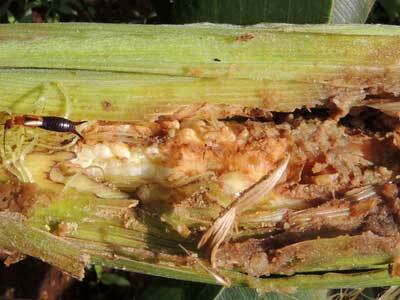 This earwig was feeding in a maize ear damaged by lepidoptera larvae. Eldoret, Kenya, July 2014. 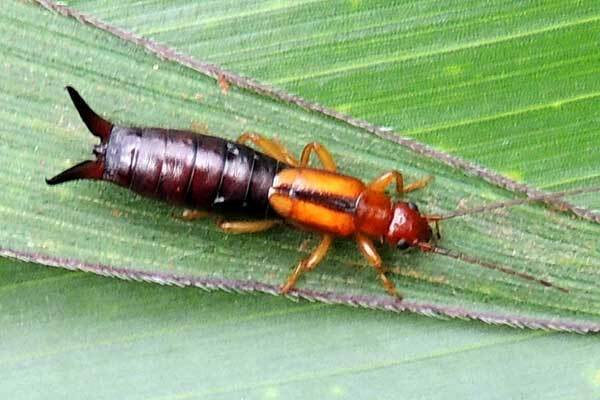 Despite their common name, earwigs have no interest in human ears or wigs. Many are scavengers and can be found in and around damaged, rotting plant material. The habitat where this insect was found is imaged below: a maize ear into which lepidoptera larvae have bored leaving exposed, rotting corn and chewed plant material.